As we are widely recognised for the Occo range of oil coolers, our air blast water coolers can be overlooked. With cooling capacities ranging from mere watts to hundreds of kilowatts, the WAM air blast water coolers have been a popular in our range for many years. The standard model has a copper tube coil with aluminium fins and is available as an AC or DC Type cooler. The smallest cooler is about the size of a hardback book, designed to cool small heat loads such as those found on X-ray scanners and other electronic equipment. We also offer the same coolers with stainless steel or copper nickel tubes if required. 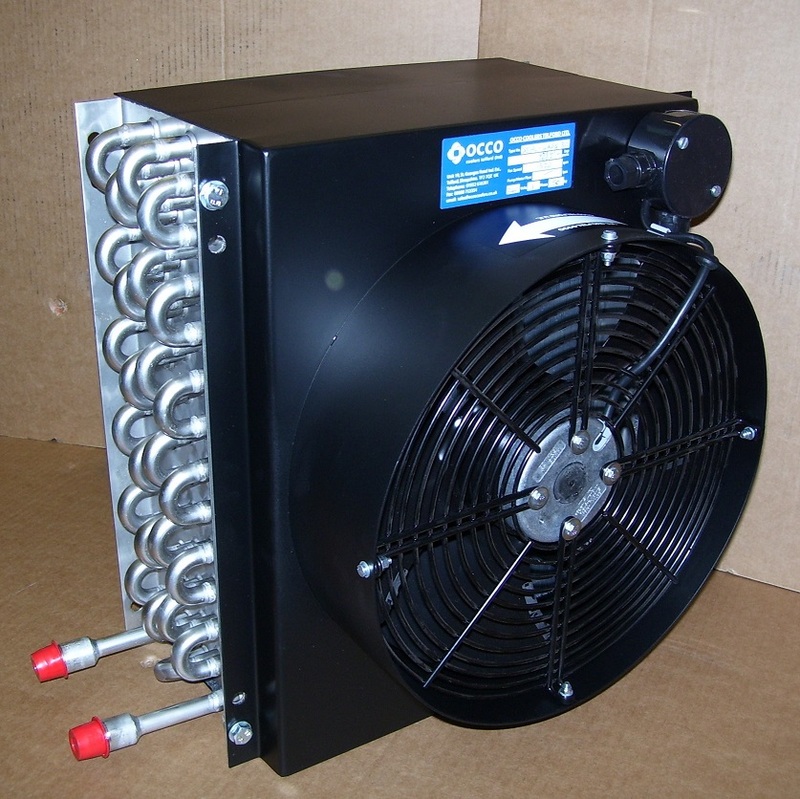 The coolers increase in size and can be used to cool anything from small furnaces to large industrial machinery. Occo air blast water coolers can be used as a part of a closed loop system, replacing the more costly alternatives such as cooling towers. With the experience built up over 30 years we are also able to offer bespoke cooling solutions, with access to many non standard options such as offshore cooling, ATEX coolers and many more.